I count myself lucky that, while remaining vigilant, I live in a place and time that is relatively free of danger. However, seeing the pink, strikes and flared trousers in old videos or pictures of the late 1970s, you forget that the average middle-aged couple of the time would have grown up during the Second World War, then live through the ongoing Cold War between the USSR and the West, under the very small, but still possible, threat of a nuclear attack. You would hope there was plan in place if, or when, something happened - there was, but it had not been published. 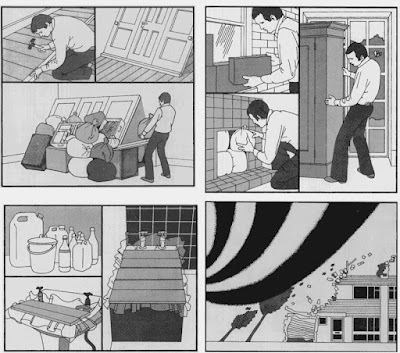 Previous examples of “civil defence” leaflets date back to 1938, when people needed advice on protecting their homes against air raids, but apart from some public information films in the early 1960s, nothing more was heard. Eventually, word got out that the Home Office had a booklet, already sent to official bodies, titled “Protect and Survive,” to be issued to homes if an immediate threat of attack appeared. Public interest led the Government to publish it for the general public in May 1980, costing 50 pence. Reading in 2017, the booklet itself is hilarious, coming across as a way to help people busy themselves, distracting them from almost certain death. There are tips on where to locate your fallout shelter, how to build it, what provisions to keep there, and the siren warnings to listen out for. It is the grim side of the Blitz spirit on which we pride ourselves, but carrying on through anything and everything is the game the book requires you to play. I wish I knew how many people bought it on its original release, and what they made of the illustrations: drawing instructions makes them more functional, but I imagine photographs of real people readying themselves may make a hypothetical situation much too real. 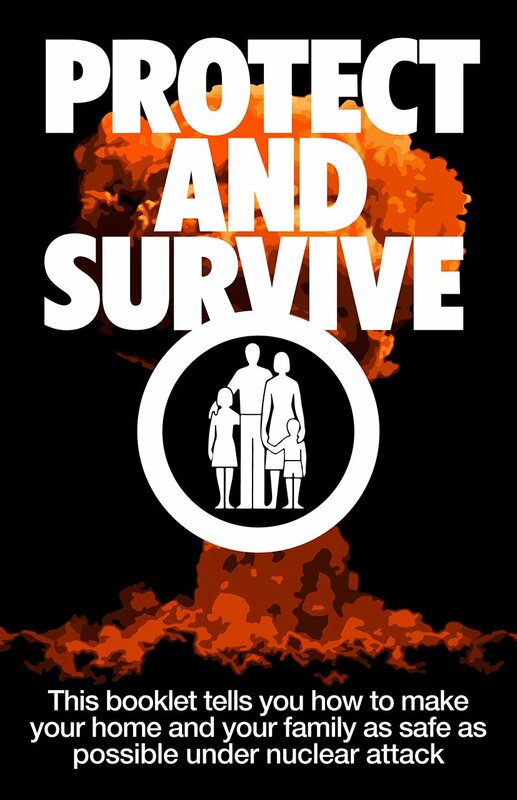 Discredited on arrival by anti-nuclear campaigns, “Protect and Survive” was criticised for making nuclear war look like something that could be survived, leading to a second booklet, “Civil Defence: Why We Need It” (1981), explaining why a plan was even needed, likening the keeping safe of the country to putting on your seatbelt in your car. 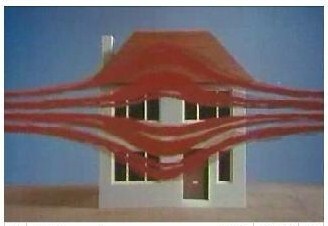 Images from “Protect and Survive,” and the accompanying set of public information films, also originally meant to be classified, were co-opted in the cultural fight against nuclear arms, including “Threads,” the bleak TV drama depicting a Britain post-attack. Most effectively, the authoritarian voice of Patrick Allen, as used in the information films, was peppered through Frankie Goes to Hollywood’s song “Two Tribes,” with Allen re-reading the original words to ironic effect. To me, this still feels like history, only just overlapping with my own lifetime, with debates over the UK’s nuclear deterrent submarines a small reminder of the Pandora’s Box that even the idea of nuclear weapons has proved to be. However, the United States Department of Homeland Security’s website, www.ready.gov, still advises that, despite the diminished thread since the end of the Cold War: “the possibility remains that a terrorist could obtain access to a nuclear weapon. Called improvised nuclear devices (IND), these are generally smaller, less powerful weapons than we traditionally envision.” Oh great, thanks for that.